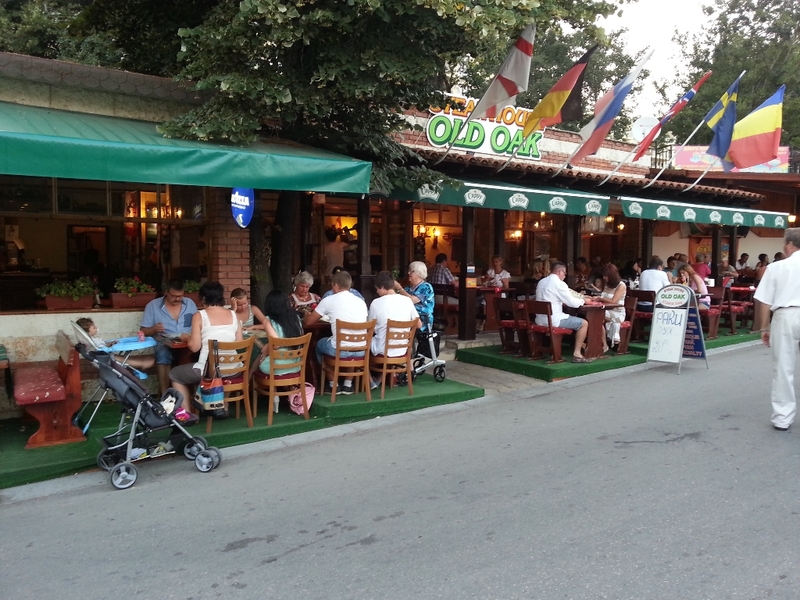 Opened in 1998, Steak House Old Oak Golden Sands is a casual fine lunch & dining restaurant, offering international cuisine. 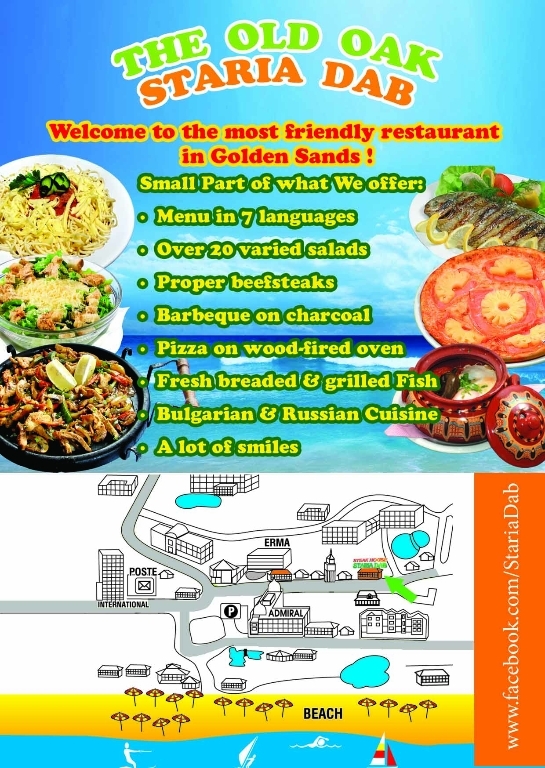 Delicious food, friendly staff, fast and excellent service, reasonable price and more ….. – this is the combination for one of the best restaurants in Golden Sands. 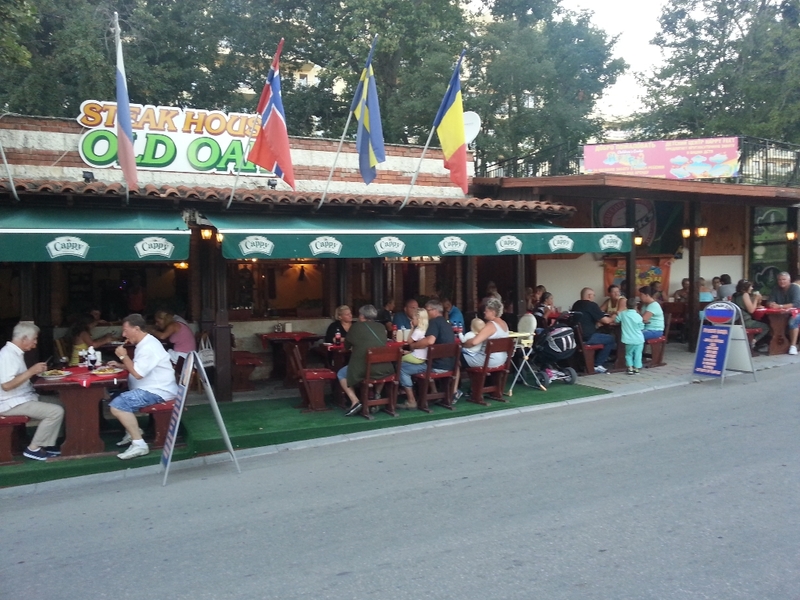 Steak house Old Oak offer varied menu in 8 different languages! 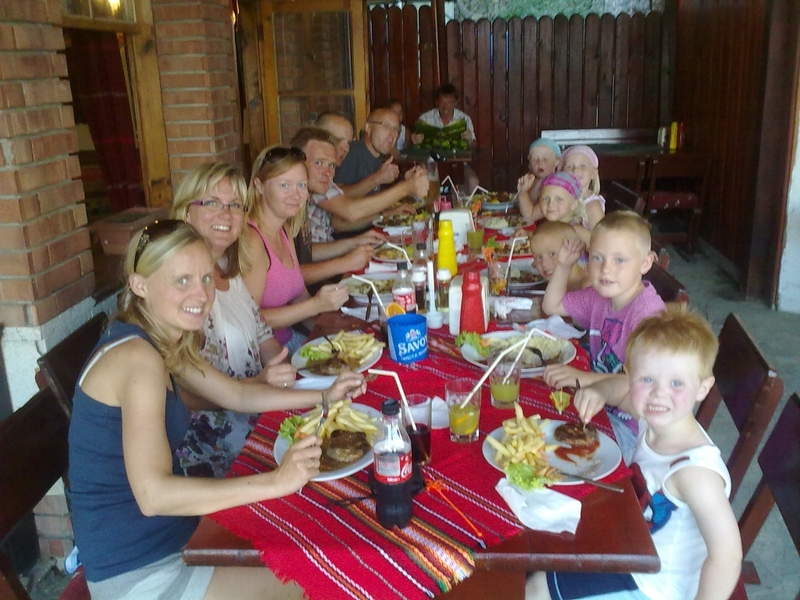 At the menu you can find over 20 varied salads, Spaghetti, Soups, proper Beefsteaks, BBQ on charcoal, Pizza on wood-fired oven, Fresh breaded & grilled Fish, Bulgarian & Russian Cuisine. We recommend you to try Steak “Jack Daniels”, Skewer “Bandit’s style”, Beef nuggets on Satch, Salad Sheppard’s style, Duck fillet with mushrooms and carrots, Chicken “Curry” and the best chicken soup in the resort. The restaurant is located in a quiet area, between hotel Admiral and hotel Melia Grand Hermitage, just 50m from the beach and the center of the resort. 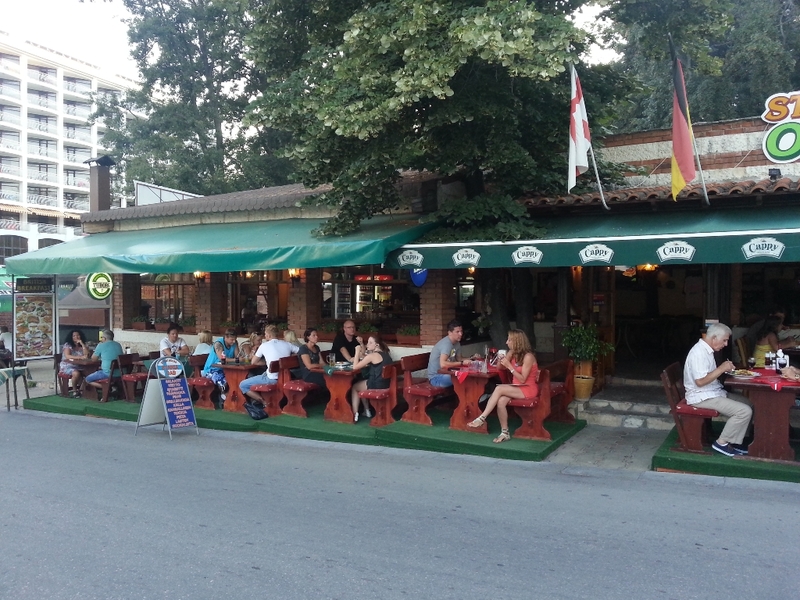 Every evening there is live music, which contributes to the wonderful atmosphere. The place is suitable for your children, where they can watch cartoon movies on a big screen and can order every dish from the menu on a half portion and a half price! 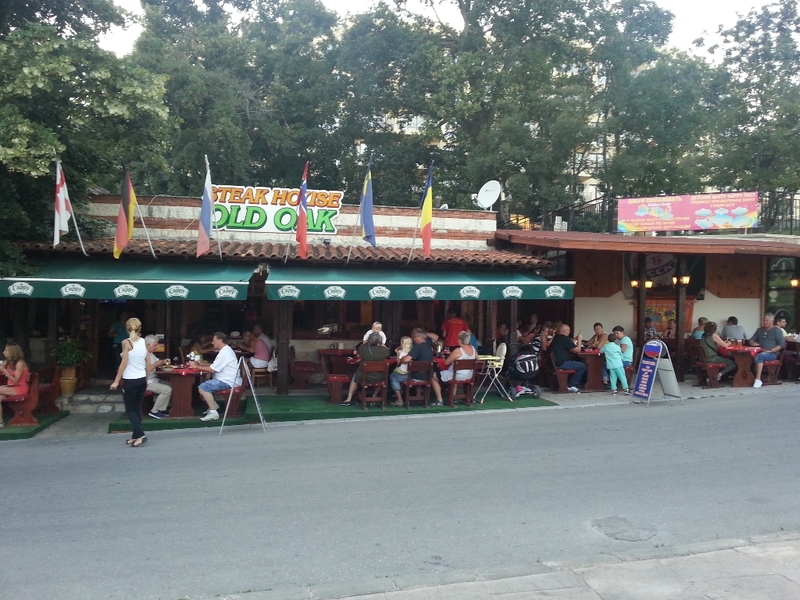 The waiters at the restaurant are very friendly and speak several languages (English, German, Russian, Romanian, Norwegian). More information you can find on the facebook page of the restaurant www.facebook.com/stariadab. Другий рік поспіль відпочиваю на “Золотих Пісках” в Болгарії з дружиною Людою. Наша донька Таня порадила нам харчуватися в ресторації “Старий Дуб”, що розташований недалеко від наших готелів “Мелія Ермітаж” в минулому році та “Адмірал” – цього року. Враження дуже гарні, як від страв, так і від обслуговування. Атмосфера дуже доброзичливого культурного відпочинку. Чудовий гурт працівників: від запрошувача до офіціантів. Ми, навіть, подружилися з Галіним та Ніколаєм. Радимо усім подорожуючим і відпочиваючим в цих краях відвідати “Ресторан для Порядних Людей” – “Старий Дуб”!